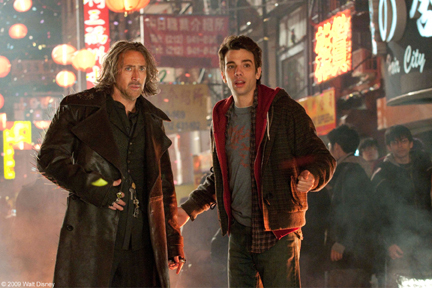 Dave Stutler (Jay Baruchel) is just an average guy, but the wizard Balthazar Blake (Nicolas Cage) sees in him a hidden talent for sorcery. He becomes Balthazars reluctant protege, getting a crash course in the art of magic. As Dave prepares to help his mentor defend Manhattan from a powerful adversary (Alfred Molina), he wonders if he can survive the training, save the city and find his true love.